2nd Tuesdays are spinning Tuesdays with the Baltimore Weaver’s Guild at Cloverhill Yarn Shop. Stop in from 10am-2pm (bring a lunch if you think you’ll get hungry). You do not need to know how to spin to stop in, observe and ask questions! What: Yarn Party! 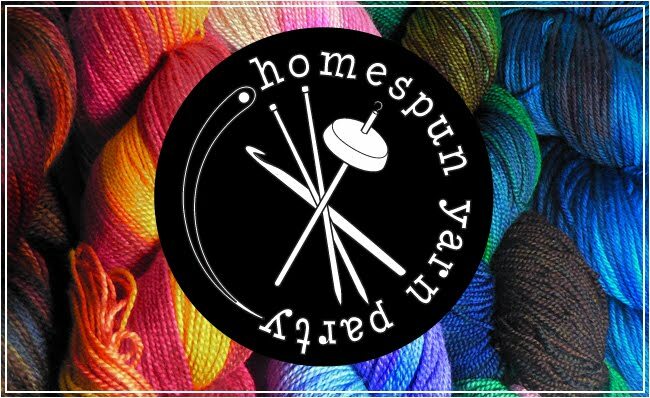 Check out local yarn vendors, sit and knit, meet new people!Who: All your favorite local yarn dyers and spinners, plus some extra crafty goodness! And all our knitting/crocheting/spinning friends (you!) of course! !Where: from 2009-2016: Historic Savage Mill 8600 Foundry Street, Savage, MD 20763 | Just off I-95, plenty of parking! And we collect knitted and crocheted items for local charities! Paula Ray would like us to collect these for charity. We have a box in the store ready to receive the knockers. We’ve got extra patterns printed for you too They can be knit or crocheted! Knitted Knockers Charities, Inc. is a non-profit corporation that exists to raiseawareness about Knitted Knockers, provide free patterns for knitters and crocheters to be able to make knockers and help mastectomy patients regain a sense of “self” by getting free Knitted Knockers made by volunteers.